Willian is a strange player. The general consensus is that he is good. Nothing more, nothing less. A silky dribbler with a powerful shot in his arsenal and a very hard worker. This is all true, but something that those who don't follow Chelsea closely may not realise is just how underwhelming his numbers are. Since signing for Chelsea in 2013, the Brazilian has only scored 27 Premier League goals for the club. The most he has scored in one season is eight, when Chelsea won the title under Antonio Conte. For someone playing at the highest level, that is not good enough. And he's not showing any signs of improving. In his last 16 games for Chelsea, he has only registered one goal and one assist. In other words, he hasn’t made a goal contribution in 14 of his last 16 matches. That goal came against Vidi FC in the Europa League, and the assist came against Brighton. It's not great, is it? Especially not when 18-year-old Callum Hudson-Odoi is showing more of an end product with his two assists against Nottingham Forest in the FA Cup. So, for all Willian's running, his dribbles, his lovely hair, the hilarious chant and that 15/16 season when everyone else was terrible, it's definitely the right time for Chelsea to upgrade on him, hence the signing of Christian Pulisic from Borussia Dortmund. The American international has not exactly been smashing them in for Dortmund this season, but he has racked up four goals and two assists in considerably less game time - he has only started five Bundesliga games this term due to Jadon Sancho keeping him out the side. Pulisic's transfer opens a can of worms regarding the club's youth policy, with Hudson-Odoi itching for a move away, seemingly viewing the move as confirmation that his hopes of playing regular first team football next season for Chelsea are non-existent. 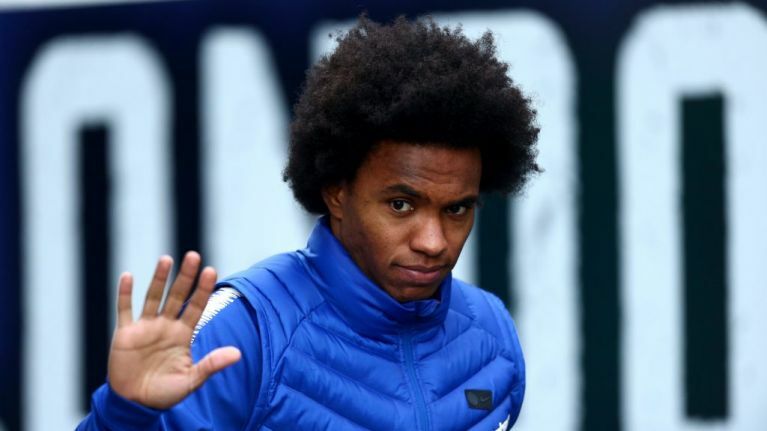 But one thing is clear: Chelsea are right to upgrade on Willian.